This Saturday, August 4 is the launch of Perth’s first silent disco/ golf themed event Hush Y’all at Club Kahuna in Subiaco. 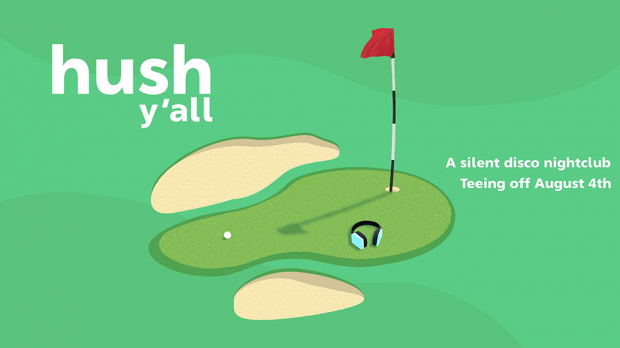 The first of a fortnightly event set to run for the next three months, Hush Y’all combines a nightclub setting with a silent disco and if that wasn’t enough, each event will be golf-themed. The venue will be decorated with golf paraphernalia, foliage, scoreboards, interactive gimmicks and humorous prizes such as green jackets, wooden spoons and trophy cocktails. We have a special prize pack to giveaway including entry for you and four of your mates and a $50 voucher to be spent on whatever you like in the venue! To enter simply email us here at win@xpressmag.com.au with HUSH Y’ALL in the subject line and tag the mate you want to take on the Facebook post. Don’t forget to like the X-Press Facebook page and sign up to the newsletter to be in the running! Competition closes Friday, August 3 at 4pm. Please only enter if you can attend. You must be a Perth, WA resident and able to attend Club Kahuna in Subiaco on August 4.